This article will examine the optimal circumstances when refinancing a reverse mortgage, as well as outlining the general process in acquiring a reverse mortgage refinance loan. Attend reverse mortgage counseling if applicable. Receive a home appraisal to determine the market value of the property. Finalize the loan and pay the necessary closing costs. If the value of the reverse mortgaged property increases, the borrower’s owned equity will also increase; through a refinance, the borrower may be able to extract this additional equity, provided that it significantly exceeds the cost of refinancing. When securing a reverse mortgage, interest rates have a substantial effect on the overall cost of the loan, due to reverse mortgages having compounding interest. As such, a reverse mortgage may be practical if a borrower can obtain a much lower mortgage rate through a refinance. The borrower has aged considerably. To calculate the amount which a reverse mortgage borrower is entitled to receive, lenders take into account home value, borrower age, and interest rate. Regarding age, older borrowers can secure much greater amounts through a reverse mortgage than younger borrowers. Consequently, reverse mortgage borrowers may be able to access additional funds as time passes from the closing, especially if he or she secured the reverse mortgage as soon as eligible at age 62. As previously indicated, lenders take into account borrower age when considering how much to lend for a reverse mortgage. Accordingly, if two borrowers obtain a reverse mortgage together and the younger borrower passes away, the older borrower may be entitled to more funds if he or she refinances. Following the housing market crisis and the economic downturn, the HUD raised the reverse mortgage loan limit considerably to provide relief for hard-hit borrowers. For borrowers who secured a reverse mortgage before this cap increase or before any future cap increase, a reverse mortgage refinance can allow access to much greater funds, especially considering that the current temporary cap increase raised the reverse mortgage loan limit by $208,000. As with any refinance, borrowers should perform the transaction to accomplish a specific goal. Due to the exorbitant costs of acquiring a reverse mortgage refinance, this principle becomes even more critical to uphold. One of the greatest benefits of a reverse mortgage is that it provides borrowers with access to additional income through equity without having to leave the property. Similarly, to be worth the cost, a reverse mortgage refinance should almost always give borrowers access to additional funds. A benefit of reverse mortgages is that it allows borrowers to choose between a fixed-rate mortgage and an adjustable-rate mortgage, which they can then turn into a repayment plan to obtain a fixed-rate mortgage. Obtain a Jumbo reverse mortgage. For some borrowers, the HUD loan limit does not provide sufficient funds to suit their needs. These borrowers may seek to obtain a jumbo reverse mortgage, also referred to as a proprietary reverse mortgage, which exceeds HUD limits, albeit with some drawbacks. Obtain a federally insured reverse mortgage. Likewise, borrowers who have acquired a proprietary reverse mortgage may choose to refinance into a government insured reverse mortgage program, such as the Home Equity Conversion Mortgage (HECM). Some borrowers choose to secure a reverse mortgage as soon as they satisfy the reverse mortgage requirements concerning age, with many obtaining these mortgages immediately at age 62. 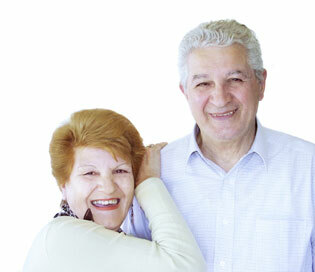 Often, these borrowers do not secure a reverse mortgage with their spouses, who may be slightly too young to qualify. In these situations, borrowers can refinance to add their spouse to the reverse mortgage and to prevent the loan from becoming due if the sole borrower passes away. Remove a borrower from the reverse mortgage. If two borrowers obtain a reverse mortgage together and would like to divide the mortgage, refinancing can remove a borrower from the mortgage. This option typically serves borrowers in the event of a divorce. Although refinancing a reverse mortgage should only be performed for specific purposes, borrowers may not always need to refinance to change the terms of the loan. Particularly, if a borrower would like to adjust the method in which the reverse mortgage funds are disbursed, he or she may simply contact the lender to alter this with only a negligible fee. When refinancing a reverse mortgage, some borrowers may need to attend another reverse mortgage counseling session with a qualified HUD counselor, depending on how much the borrower benefits from the transaction. Essentially, the HUD enforces a “Five-fold Benefits” rule, stating that borrowers must receive funds corresponding to a minimum of 5 times the cost of the refinance. In other words, if a borrower secures less money than five times the costs incurred to perform the refinance, he or she must go to counseling before qualifying for the refinance; although the borrower can still obtain the refinance, the counseling session is mandatory. The HUD determines that borrowers who acquire substantially more than the cost of the refinance understand the program more fundamentally and do not need the additional counseling session, whereas those who receive less may not understand the program entirely.